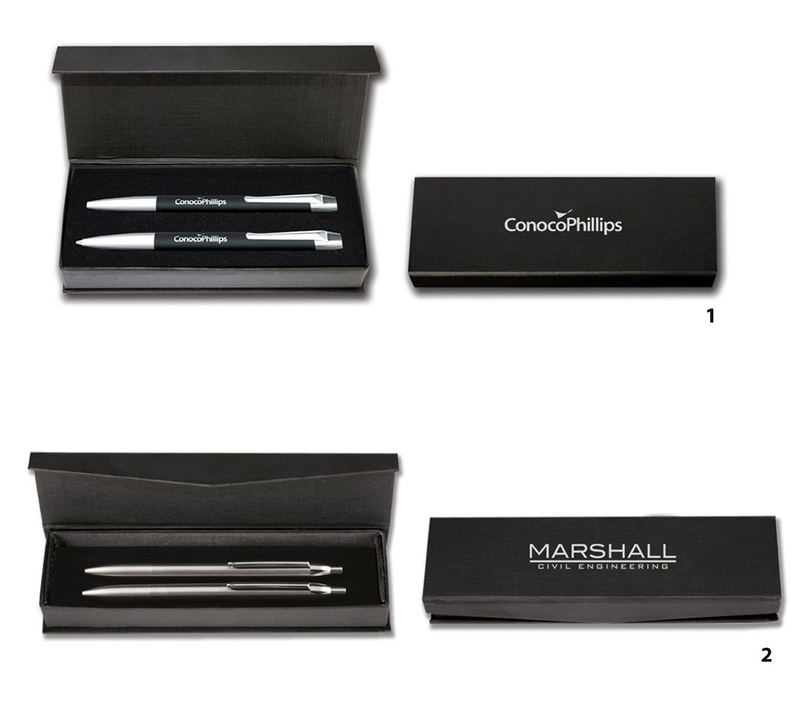 Double presentation boxes are available for sets of two pens, where the corresponding unit price for the sum of the two items applies. 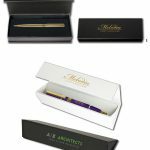 For example, if 50 pen sets are ordered the price will be the unit cost for both of the items at the 100 quantity rate, plus the cost of the presentation box. A high quality presentation box in matt black woven effect material with a black flocked insert for two pens is available at £2.10 for all quantities. Screen printing on the box lid is available at £0.20 for all quantities. A low cost presentation box in smooth black textured rigid card with a magnetic closure and an elastic loop fastener for two pens is available at £1.70 for all quantities. Screen printing on the box lid is available at £0.20 for all quantities.